Joe Gough of West Waterford A.C. heads to Poland this week for the World Indoor Masters Championships. Photo: Sportsfile. 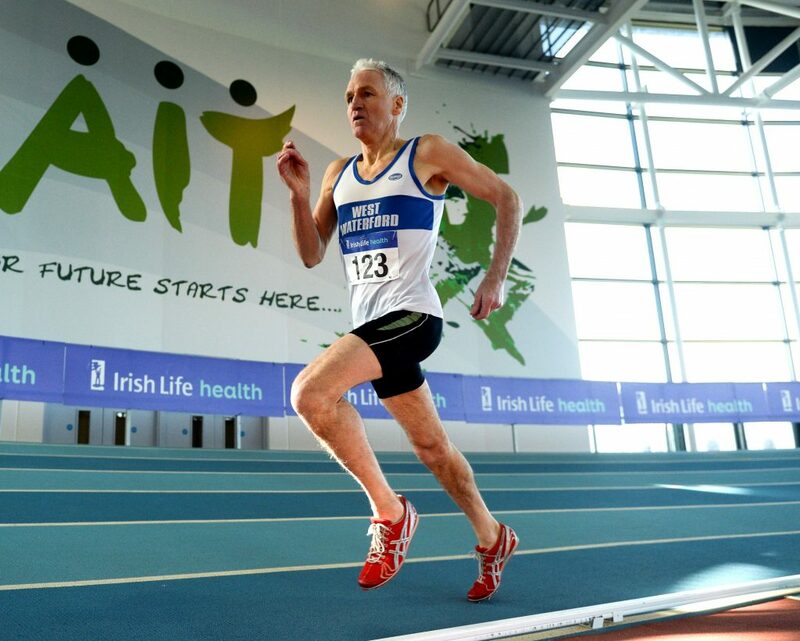 The World Master Indoor Championships will take place in Torun in Poland this week and 85 countries will have athletes competing in many age groups male and female of which 110 will represent Ireland, including Joe Gough West Waterford in the over 65 800 and 1500 metres. Two years ago in these championships in Korea he won the over 60 800 metres and was third in the 1500 metres. On this Wednesday at 1.30 pm Irish time Joe goes in the heats of the 800 metres and the final is timed for 6.30pm on Thursday. The heats of the 1500 metres are on Friday at 2.40 pm and the final on Saturday at 8.50am. So all going well a busy week for Joe and we wish him well. During the Championships Joe will receive from the World Master Athletic Association the 2018 World Master Middle Distance Athlete of the Year Award which he was informed of some time ago, the World Association gave awards in various categories, sprints, middle distance, distance, jumps, throws, race walking and Combined Events plus an Overall Award. Congrats Joe on this Major Award. On Tuesday next hundreds of children from Primary Schools in the city and surrounding areas will compete in the Annual Ferrybank AC promoted Waterford City Primary School Sports at the RSC which start at 12 noon. Sprint and middle distance run plus relay for under boys and girls U-8, 9, 10, 11, 12 and over 12. Two Road Races take place in the county on Friday evening April 5th. The Ballinroad 5 km at 7pm Race 1 Elvery’s/Asics Series and the Martin Halley Memorial 5 km in Carbally 7.30 pm /walk 7 pm. Others coming up are Friday 12 th Butlerstown 4 miles Race 2 Elvery’s/Asics Series 7 pm,Sunday 14 th Ferrybank GAA 10 km 11 am, Friday 19th Faugheen 5 km Race 1 Carrick on Suir Series 7.30pm. Please note the 50 th Annual Blue Wall Waterford to Tramore Road Race will now take place on May 4th at 7pm from near Waterford City Hall and not on another date which was being flagged. The next County Board meeting is on Monday next April 1st at 8pm in The Park Hotel, Dungarvan and all clubs asked to be represented. On Sunday March 30th 1969 – 50 years ago this Sunday – the Waterford under 14 boys team became the first ever County team to win an All Ireland Cross Country County team title for Waterford. This they did in Belfield in Dublin the scorers being Ger Deegan De La Salle AC11th, Tom Jordan RIP St John’s Park AC 13th, Kieran O’Connor Lismore AC 14th, John Casey RIP De La Salle AC.